Upper Lake is a quiet little farm town, yet it offers some of Lake County’s best art & antique galleries. Tony Oliveira’s Antiques across the street from the Tallman Hotel is an extensive and truly one-of-a-kind collection of Western antiques and memorabilia. Ask about their museum tour! Other places worth a visit in Lake County’s town of Upper Lake are Powell’s Antiques on Main St., and the much larger Vintage Antiques run by Rick Pace at 375 E. Hwy. 20, near Judy’s Diner. If you’re an old stove lover, their collection of vintage Wedgewood and Merritt O’Keefe stoves will leave you weak in the knees. 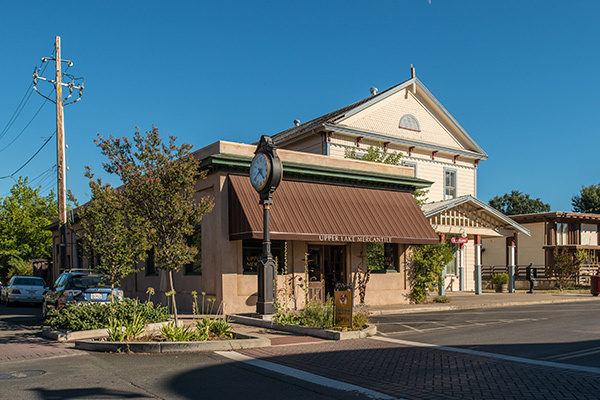 After visiting all the antique shops in town there are still more Lake County Antiques & Arts galleries further afield from the Tallman Hotel. The new and unique Clarks Collectibles and Lunchbox Museum at 3674 Hwy. 20 is a 10 minute drive from Upper Lake in nearby Nice. They’re open Thursday through Sunday 11:00 to 5:00. We also recommend Ely’s Stage Stop & Country Museum in Kelseyville, open weekends from 11:00 to 3:00. Lake County is home to a community of talented artists and artisans working and displaying their wares at galleries throughout Lake County – including our shop, the Upper Lake Mercantile and Diego Gallery. Click here for more information and a directory of Lake County antiques & art galleries.